A Bikers Dream has opened on the South shores of Lough Neagh. Evolution Motor Works is an original motorcycle sales and service centre unlike any other. 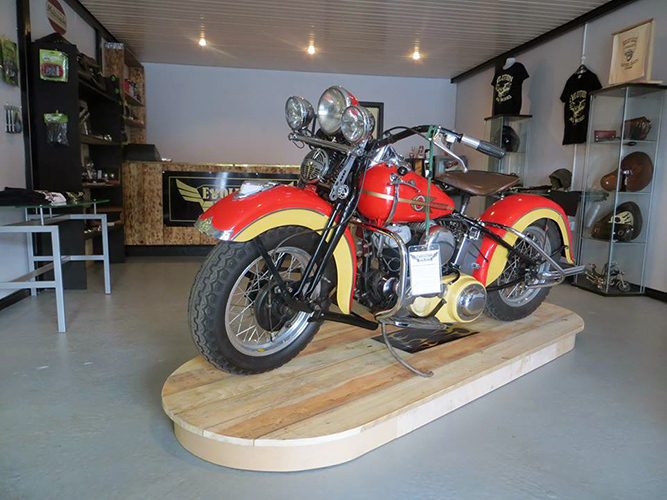 Official Royal Enfield dealer in Ireland we also stocking retro and vintage bikes ranging from a 1942 Harley Davidson to a range of modern bikes we welcome visitors to experience the old ‘skool’ exterior and cool retro interior. Come in for a coffee and browse our stock of bikes, parts, custom t-shirts, custom leather accessories, protective gear etc. Evolution Motor Works based at Oxford Island in the beautiful location of Kinnego Marina, it is the perfect ride out destination for a day trip or come stay for the weekend with full camping facilitates on site. Heated Tipis are available to hire if you don’t fancy bringing your own tent and camping, caravanning is fully catered for with restaurant, showers, etc. Retro, Vintage and Modern Bikes. 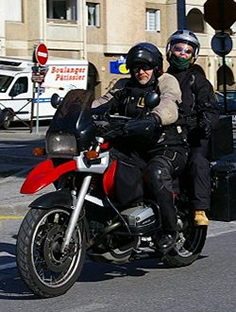 Servicing and repairs for all makes of models of motorcycles. Diagnostics, performance, tuning, retro and custom builds, full parts supply. 25 point inspection report with every bike. Trade ins, Brokerage, FREE MOT checks Custom clothing, leather accessories, protective motor bike wear. 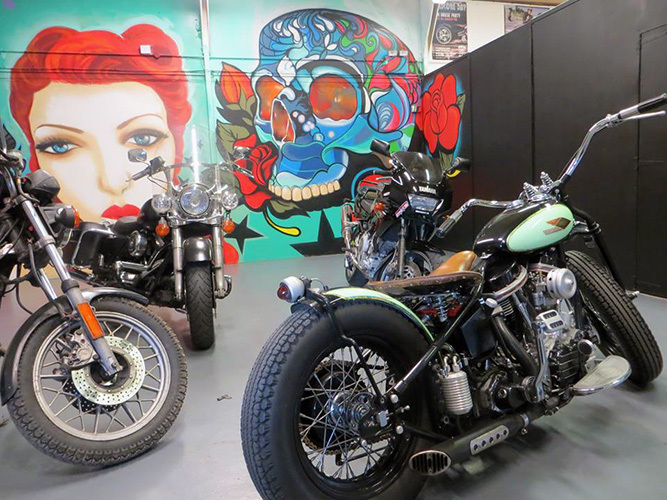 The added benefit of visiting Evolution Motor Works is you can take advantage of the stunning nature reserve it is located in and stretch your legs after your ride with walks, boat trips, kids park, archery, waterside museum, bushcraft etc. All only 2 minutes off the M1 at Junction 10 (Lurgan, Co.Armagh, N.Ireland). Right To Ride wishes Evolution Motor Works all the best and will be taking up the invitation if we are ever passing, to call in – especially as coffee is on offer!